History of a 45 year old Sunshine Coast icon. 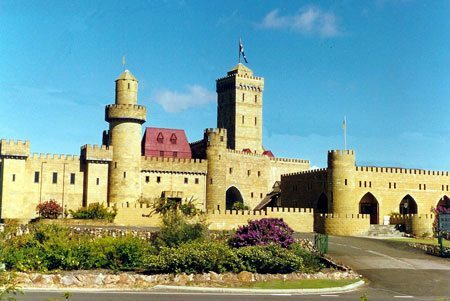 Looking at the history of the Sunshine Castle, its focus shifted from displays and exhibits to a medieval museum, functions and events venue over the last decade. 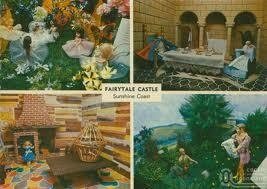 Originally a local Scottish couple built the Castle in 1972 to house eight original Fairytale Diaramas and some dolls. Meanwhile the Castle has grown and has had three freehold owners over time. 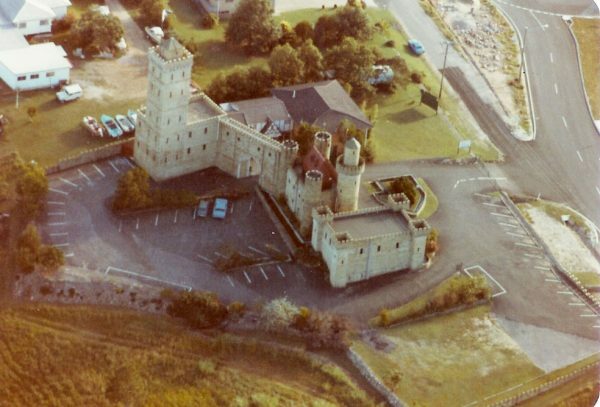 It first opened as a Fairytale Castle, but was later known as the Bli Bli Castle. 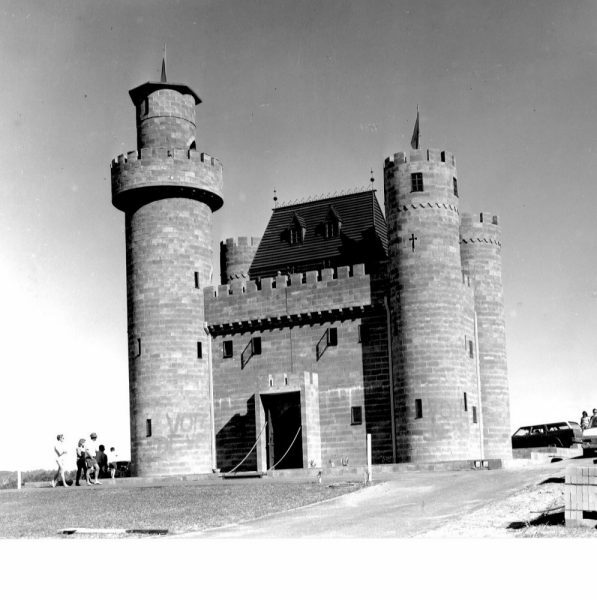 Originally, the Castle was located on David Low Way, back then the only way to get North from Brisbane. As a result, it was able to attract a magnificent 1 million visitors in its first 3 years of trading. 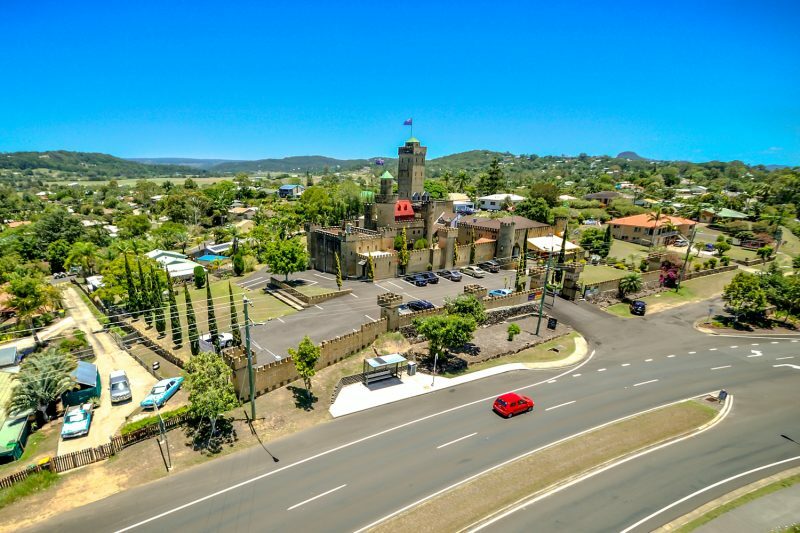 After much searching in 1971, Ian and Marcia Hayne purchased land in Bli Bli, which is the center of the Sunshine Coast of Queensland.They chose the location because of its hard granite foundation on a knoll overlooking the Maroochy River and the surrounding cane fields. 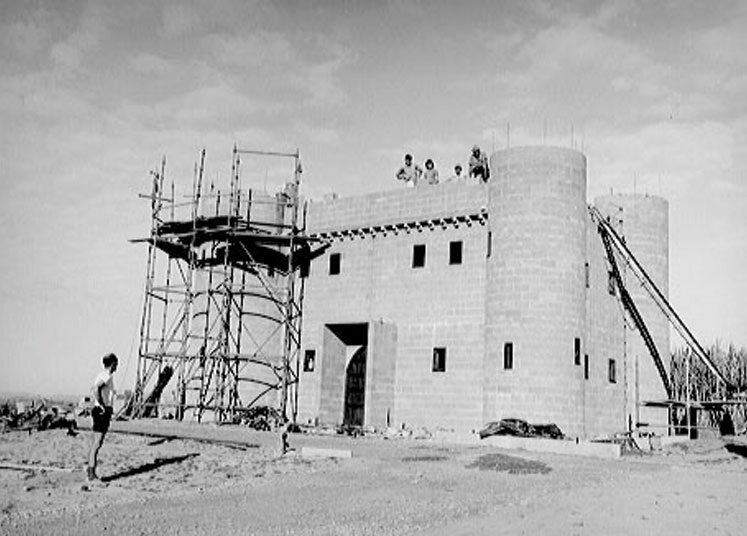 In 1972 work was commenced to build a norman, medieval style Castle. Its first stage was completed and opened in March 1973. Two years later the Great Hall and Moat were completed with it’s display of medieval armour, which came from England, Germany, Spain and Italy. In 1978, the Great Tower building was erected in stages in conjunction with an expansion of the souvenir shop, and Tudor facade on the shop front. The 3rd of May 1980, the new tower building was opened to the public. In July 1984 the owner changed. 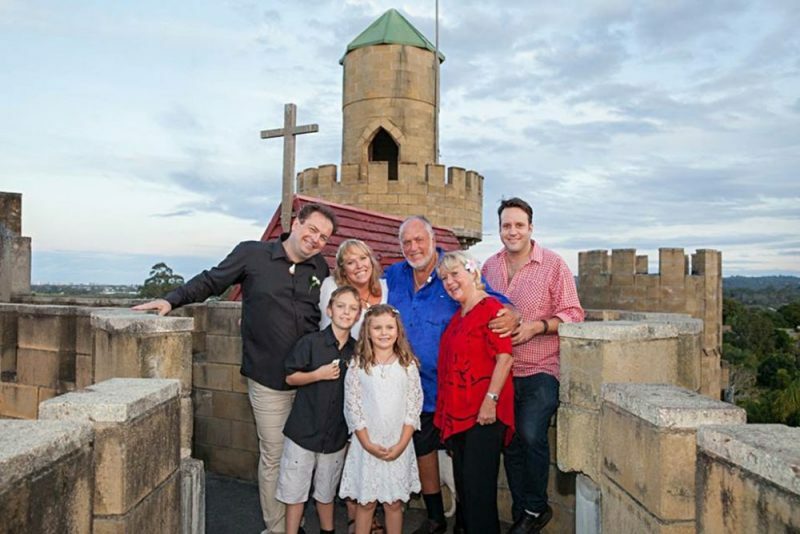 Sandy MacKenzie, his wife Joan and Kevin Tuckwell purchased the Castle. Their plan was to enclose and include the house, situated alongside the Castle into the Castle complex. Work began almost immediately. Furthermore the courtyard was also enclosed. Whereas the downstairs area of the house used to introduce a Tea Room and increase the shop area. This was opened in time for Christmas 1984. 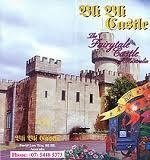 Bli Bli Castle was born and enjoyed its heyday for much of the 80’s and 90’s as a Doll museum, which still had Fairytales on display. Sewed by the Lady of the house, the Dancing Dolls in National Costumes were added. 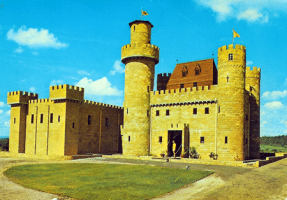 In 2002 Bernd and Margret Benecke acquired the Castle and began with major additions and alterations. The freehold owner’s vision of a family run business became reality when Birte Benecke-Uhrig and Stephan Uhrig moved from Europe to Australia to run the business with their company S&B Uhrig Pty Ltd in 2006. 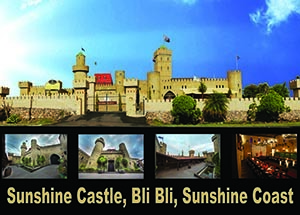 Soon Bli Bli Castle got renamed to Sunshine Castle. Castle security was improved by adding a front wall and gate, complete with four watch towers. A whole new entertainment genre began with a new enclosed courtyard area. Improved toilet facilities, a commercial kitchen and a Queensland Liquor License followed over the years which allowed for the catering of larger functions, weddings and corporate events. The function of the Great Hall as a pure exhibition area was also altered and the floor area was cleared of displays to make room for the Kings and Queens thrones and tables and chairs for a feasting area. More and more medieval displays were added over time. In 2013, due to the Castle’s 40th anniversary a History Shields Tour launched. Nowadays visitors get easy access to more information about the medieval era by enhancing the educational value of the self-walk tour. The Doll Museum was partially replaced by interactive armour displays and other medieval exhibits. But despite taking a new focus, the Castle management continues to preserve sections of the dolls as an important part of the Castle heritage. A different focus makes the Castle come to new life. It lies on Weddings, Functions and Special Events as well as partnerships with local entertainers and educators. A wide range of events and function packages gives a bright look into the future. A regular school holiday program featuring resident knight Sir Justyn and other medievalists as well as special themed menus or the sold out ‘Opera in the Castle’ concerts with the Underground Opera Company, just to name a few.